“Supercell HP at rethel in France, 8 june 2014” by Arnaud Poncelet. “Impressive Shelf over Terneuzen, Zeeland (NL) 13-08-2015” by Jean Paul V Kranenburg‎. “Amazing undulatus asperatus clouds in the morning of 31 augustus 2015” by Bart Pijper‎. “My birthday storm back in 2012 that I almost missed. Kamnik-Slovenia” by Roby Dolnicar‎. “Incredible turbulence creating these very nicely formed undulatus asperatus over ipswich today.” by Carl Harlott‎. “4.6.2015 — in Colby, Kansas” by Florian Dickmeiss. “Beautiful shelf cloud over the mountains of Montana USA, June 2016” by Guy Coopmans. “Spectacular supercell near Várpalota-Tés, Hungary 13 July 2016” by Norbert Sarkadi‎. “Funnel cloud near Farina IL, 4/29/2017” by Nikola Pavlovic‎. “Storm coming — in Casalgrande Reggio Emilia” by Michele Sensi‎. “”Aldeia da Luz”, Alentejo, Portugal” by João Paulo Murteira. See Contest results of Week 17, Week 16, Week 15 and previous results! 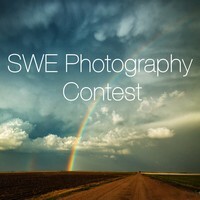 Find the SWE Photography Contest group on Facebook!